CALLING ALL BANNING MILLS ENTHUSIASTS!! 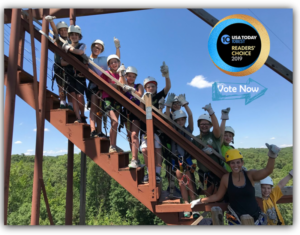 We’ve been nominated for the 2019 Reader’s Choice Awards by USA Today’s 10 BEST! Please extend your support and help us reach #1! 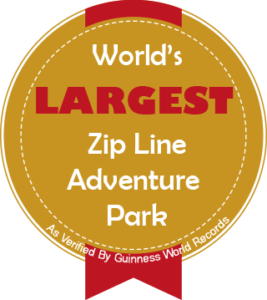 Experience the BEST & LARGEST Zip Line Adventure Park Resort in the World!!!!! Extreme Adventure, Tree Houses & other Lodging, Day Spa, Horseback Riding, On-Site Chef and much more. Conveniently located in North Georgia, only 45 minutes West of Atlanta. We have something for all kids ages 4-94! 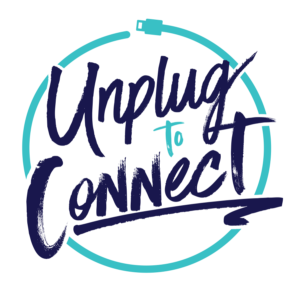 NEW AERIAL ADVENTURE COURSE MARCH 1, 2019. 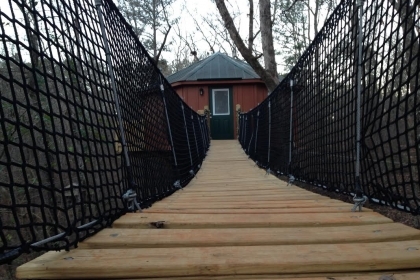 Visit Our Other Adventure Parks! 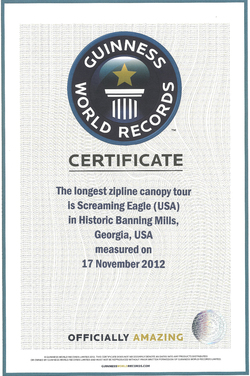 The longest zip wire course (combined length) is Screaming Eagle (USA) measuring 11.92 km (39,127 ft) at Historic Banning Mills, Whitesburg, Georgia, USA, and verified on 17 November 2012. The zip wire course consists of 135 ziplines including the 3,000 ft Flight of the Falcon, and would take approximately 12 hours to complete the entire course.